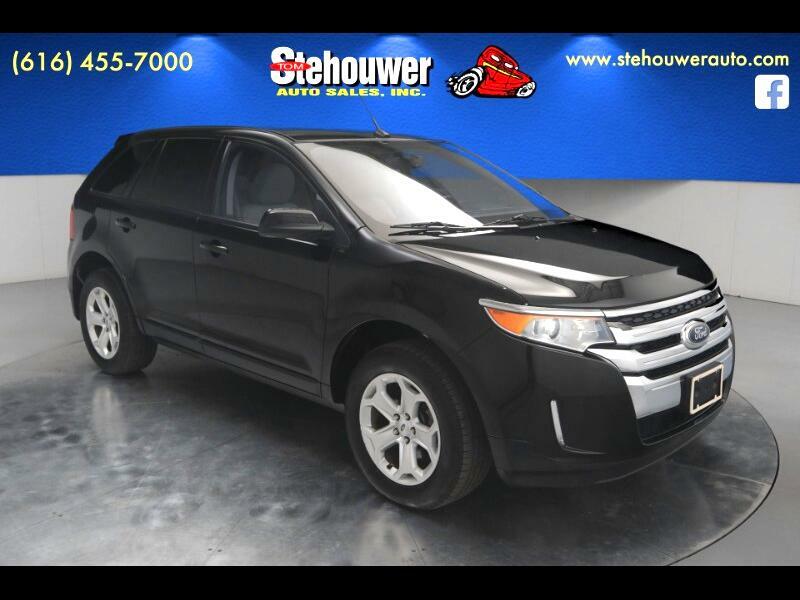 2013 Ford Edge SEL AWD 3.5L V6 Ti-VCT 6-Speed Automatic with Select-Shift CARFAX One-Owner. Clean CARFAX. One Owner, Actual vehicle shown!, AWD, Alloy wheels, Four wheel independent suspension, Leather-Trimmed Heated Bucket Seats, Power driver seat, Power Liftgate, Steering wheel mounted A/C controls, Unique Cloth Bucket Seats, Vista Roof. Odometer is 33589 miles below market average! Message: Thought you might be interested in this 2013 Ford Edge.